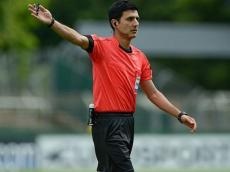 Azerbaijani referee Aliyar Agahyev will be in charge of a match between Manchester City and Barcelona in the semifinal of the UEFA Youth League. Agahyev will be assisted by Zeynal Zeynalov and Akif Amirli, while Swiss Sandro Schärer will be fourth official of the match. The match will be played at the Colovray Sports Centre in Nyon, Switzerland, on April 20.